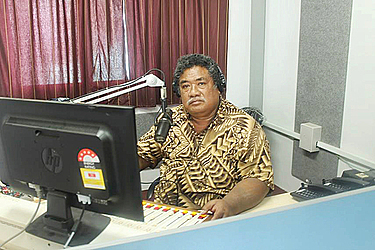 After serving 38 years as the voice of the national Broadcaster, Radio 2AP, Va’asiliega Iupati Lagaaia, is calling it a day. Va’asiliega’s service as a Radio Announcer included air time with the Prime Minister, which us one of Radio 2AP’s most popular shows. 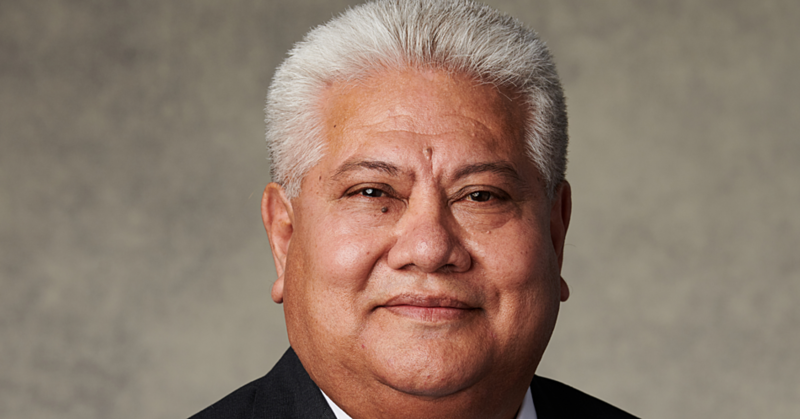 Looking back at his long career, Va’asiliega, 60, told the Samoa Observer that Samoa’s National Radio has come a long way. “Back then we always had issues with the lack of proper equipment whereas now with the technology and new inventions, the disc jockeys (D.J. ); radio announcers and reporters have everything at their fingertips,” he said. “And it is good thing for the Government to continue investing in the development of 2AP given how important their role is on the daily basis, most especially during tropical cyclones." He also took a walk back down memory lane and was a bit emotional when reminiscing about Cyclone Ofa in 1990. 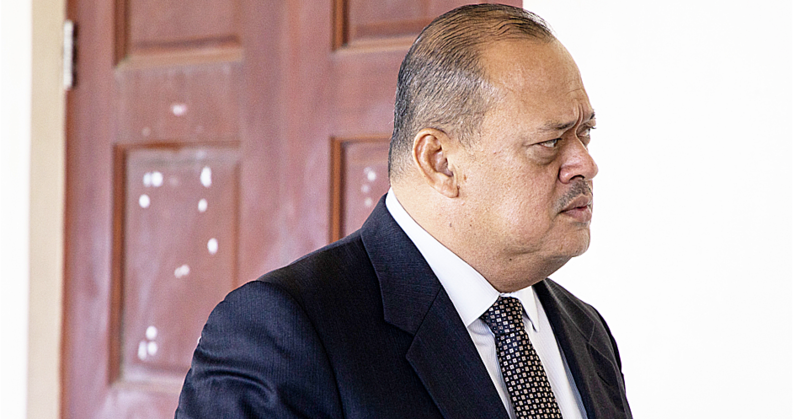 “I recall clearly that people overseas who sent remittances to their families in Savaii, but given the power outage, the Government turned to us to announce to the families their funds have arrived." “We were tasked with several engineers to get the transmitter in Taga operational so the messages can reach Savai’i families." “On our way there; our vehicle got into an accident, there was one fatality and the other engineer was injured and up until this day is physically disabled." “Up until now, the images and flash backs is etched in my mind and heart and all in the line of our work and that is to inform." “In the end, we got the transmitter up and running, and the families in Savai’i received assistance and we continued to announce the developments as Samoa at the time was recovering from one of the worst recorded effects, where seven people were killed." “An estimated of 200 people were evacuated and up to 20 others were injured through the islands with extreme damage to crops and trees were also recorded,” said Va’asiliega. He was also thankful to the Australian Aid that by the time Samoa was struck again with Cyclone Val, there was a new transmitter in Mulinu’u, which made their job easier and most importunely getting the message to the people of Samoa. 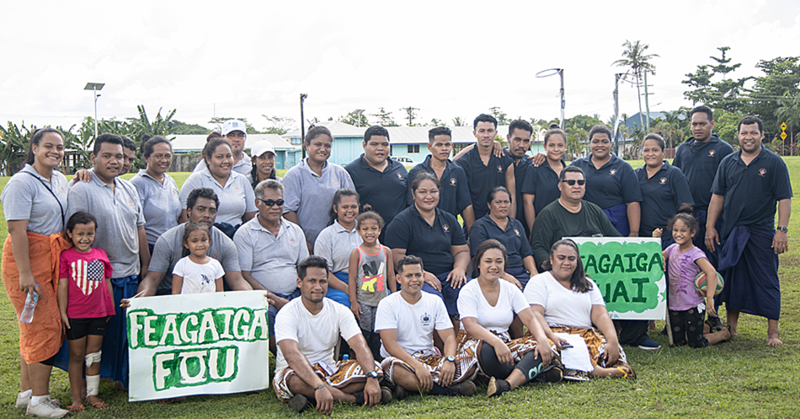 “We catered not only for people in Samoa, but also Tutuila and Manu’a." “And I must say that people take for granted our work until there is a hurricane or a natural disaster all of the sudden, our job are important to them,” said Va’asiliega laughing. Another aspect of his work, Va’asiliega took issue with then, were the huge recorders they use to carry around. “Nowadays, the recorders are very small and you can carry in your pockets; but again the latest technology is very helpful." Va’asiliega, who was 22 when he first started at 2AP said, even a sneeze on live radio was prohibited. “Another challenge was announcing the appropriate terms, which in our language is quite difficult most especially when we discuss a taboo issue on the radio." “I have to literally practice and seek guidance when talking about issues pertaining to women." “One subject that has been etched in my head because I had to seek assistance for was the Samoan word for breastfeeding babies, or sexual transmitted disease, which was highly promoted by the Ministry of Health." “In our language, we couldn’t say that word ‘suasusu ole teine or fa’asusu lau pepe/ intuition sa (private parts)’, it was not allowed which again was challenging." “Nowadays that is not an issue anymore, which I totally agree with. It is better to be frank and get the message across rather than try and beat around the bush when there is a good message that needs to reach our people for their benefit,” he said. Asked what needs to be improved with the National Radio, Va’asiliega said there is still a need for new transmitters. “To assure that when we are struck with a hurricane, we just do our job of announcing rather than it’s in the middle of the cyclone and we are running here and there to get it running." Va’asiliega was thankful to his wife Miriam for putting up with the late hours at the radio station. “When thinking back, my wife had to be mom and dad during tropical cyclones. I was needed at the office to give information and that Samoa depended on the information while Miriam dealt with putting up woods to cover our house with our eight children." “I have to say that being married to someone in the media, one must have patience to deal with the fact that work was the main priority in our line of work." “While men rush homes to board up their families, I am at the office to make sure families and our people get the right information they need,” he said. Va’asiliega said time has come for him to retire and enjoy time with his 12 grandchildren. “I visited my children in America last month, this time we’re heading to Auckland to visit their kids there and we intend to do more traveling and to enjoy life, the thing I never had the chance to do in my early years,” he said smiling. In 2016, Va’asiliega was recognised in the Media Awards for Excellence in Gender-Sensitive Election Reporting Increased Political Participation of Women in Samoa (I.P.P.W.S). The awards recognise journalists and media outlets for coverage that is not only balanced, but also challenges gender stereotypes and raises awareness about the importance of women’s political participation and representation. Va’asiliega’s award was to recognise his work on Radio 2AP with a series of talk back programmes with women candidates.